Treat yourself and your wallet with these cool pieces currently on sale. 1. 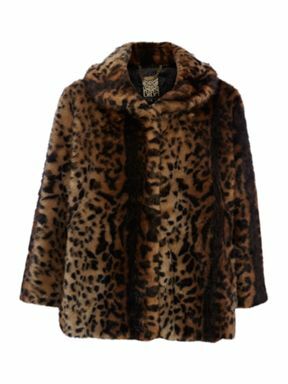 Short Tiger Printed Faux Fur Coat by Biba: Add a touch of vintage glamour to your wardrobe this cold season. This fabulous coat is currently on sale at House of Fraser for £106, it was previously £179. The sizes currently available are 10 – 18. 2. 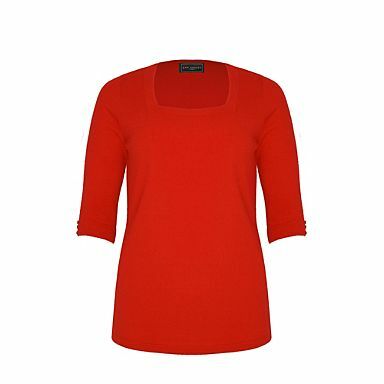 Red Soft Touch Square Neck Jumper by Ann Harvey: This bright red jumper is currently on sale for £15, it was previously £30. You can get this piece at Debenhams. Most plus sizes are available. 3. 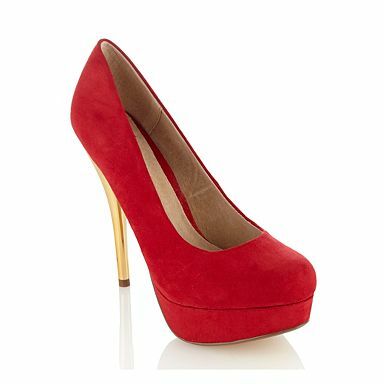 Dark Red Metallic High Heeled Courts by Faith: This dark red suede beauty is currently on sale at Debenhams for £22.50, it was previously £45. The sizes available are 3 – 9. 4. Animal-print Skater Dress by Oasis: This skater dress is currently on sale at Selfridges for just £20, it was previously sold for £36. Check the site for more details. 5. 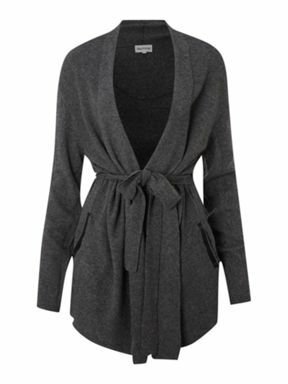 The Suede Trim Cardigan by Mary Portas: This grey marl cadigan is currently on sale for £33 at House of Fraser, it was previously sold for £110. This is definitely a bargain. Sizes 10 – 14 are available. 6. 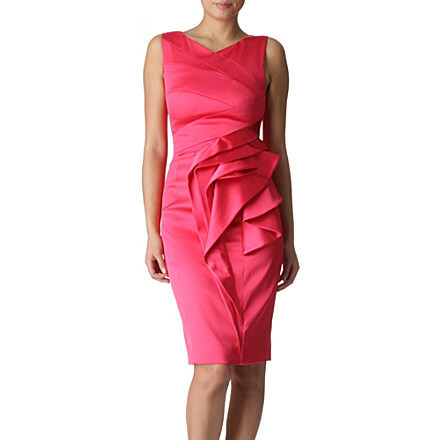 Waterfall Satin Dress by Karen Millen: This dress was previously sold for £190 and it is now on sale for £55 at Selfridges. 7. 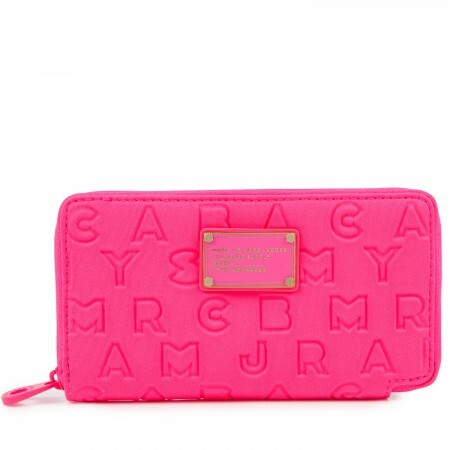 Pink Dreamy Embossed Neoprene Wallet by Marc Jacobs: You can get this wallet at Harvey Nichols, it is currently on sale for £52, it was previously on sale for £105. 8. 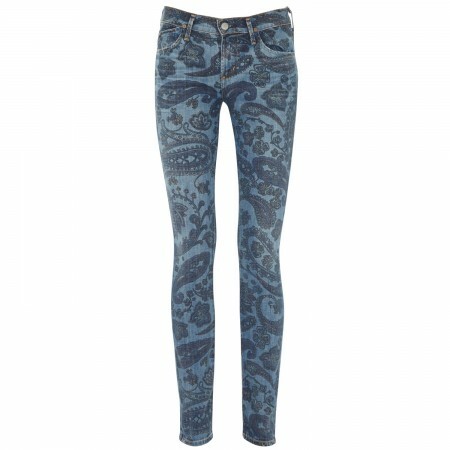 Mid-Rise Skinny Paisley Print Jeans by Citizens of Humanity: This stretch denim jeans is currently on sale for £75 at Harvey Nichols, it was previously on sale for £250. Now that is what I call a Sale. I am inspired by these fashionable travellers. They look so good and it just inspires me to make an effort every time even when flying and who knows, we could get lucky and get an upgrade (wink wink). What do you think of these looks? Which is your favourite? 1. The Saturdays: These ladies inspire me, they always look so good. 2. Rihanna: I am loving this simple, casual look. Looks really comfortable and comfort is just what you need when travelling. Go Riri. 3. Nicole Scherzinger: Nicole always looks good and she definitely knows how to make an entrance. 4. Kelly Rowland: I adore that harem pant on her, and the dark look is the best way to work it if you want to arrive at your destination looking and feeling fresh. 5. Mollie King: I adore Mollie’s feminine look. She looks chic and beautiful as always. 6. Frankie Sandford: The pink pants pop right out, cool look. 7. Kim Kardashian: I like Kim’s look here. A comfy knit is an aeroplane must. Comfort and style can go hand-in-hand.